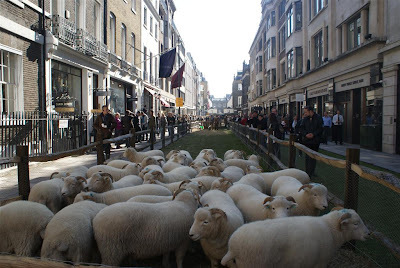 Last week’s Savile Row Field Day was an unqualified success, with weather that one could never hope to expect in mid-October and all the sheep staying in their pens. The open doors and events at various tailors also went down a storm, with the tours nearly all oversubscribed. Congratulations to Anda, Poppy and the rest of the organisers on a great event for the Row. Now the quest is on to find another event that is equally effective in drawing the curious public through the tailors’ doors. 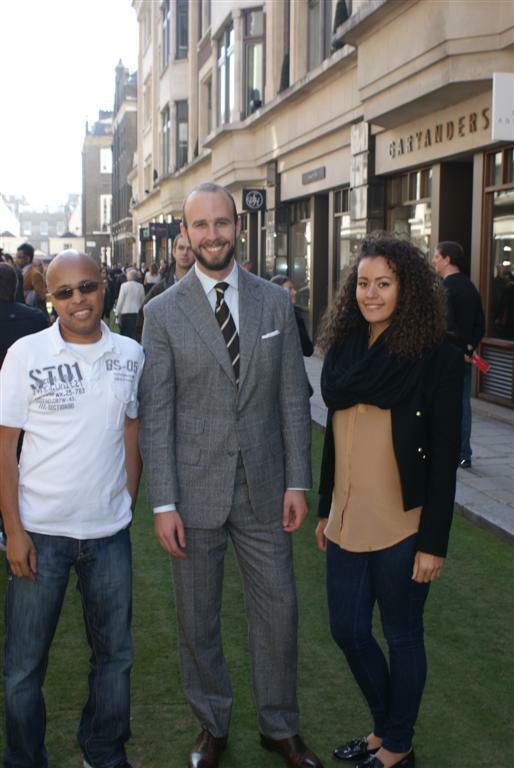 Pictured are Derek and Sunna, the two tailors that made my Anderson & Sheppard suit. Derek is an old hand, having been at A&S for 25 years, while Sunna is an apprentice. Look out for the latter on A&S’s upcoming blog. You can follow the discussion on A lovely field day on Savile Row by entering your email address in the box below. You will then receive an email every time a new comment is added. These will also contain a link to a page where you can stop the alerts, and remove all of your related data from the site. The suit looks like it settled in. It looks a lot better than that first pic you posted. Cool – nice suit. Derek and Sunna are talented crafts-people. This looks like an amazing event, too bad I missed it. May I please say how pleasant it was to meet you in Savile Row and reiterate my comments of that time about how interesting and informative you blog is. Simon, you look beautiful but Derek lets the side down with common jeans and t-shirt. Surely he could have worn one of his own suits on such a day? The A&S suit looks really nice. I’m not a big fan of their single breasted offerings but your suit looks very nice indeed.